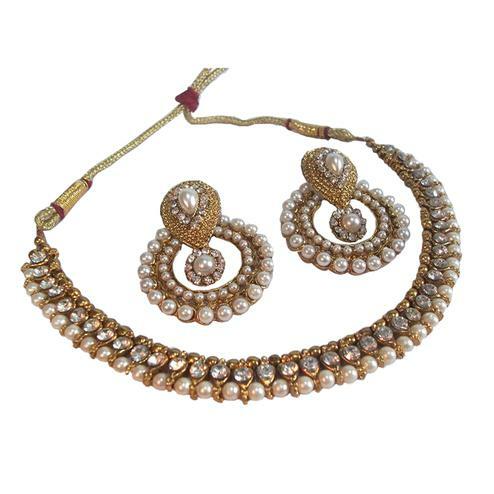 This big gota pearl polki necklace set is perfect for weddings & other formal occasions. 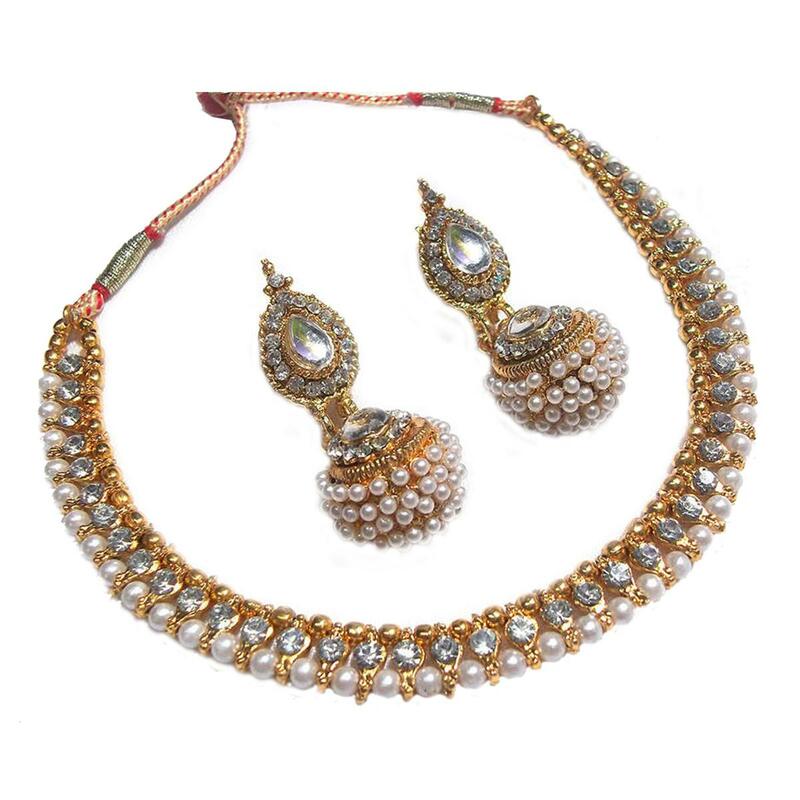 Featuring pearl and golden beads with white stone line necklace and white kundan use for earring jhumka. 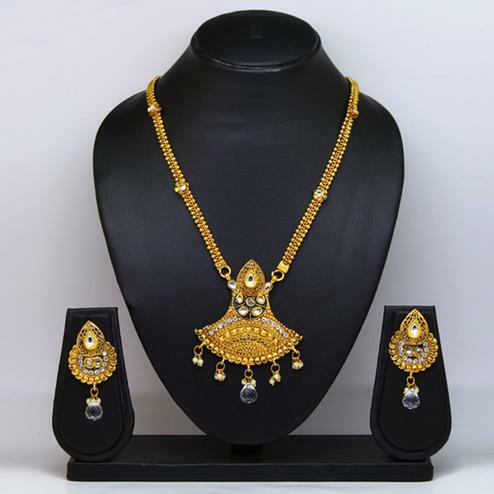 You can also gift it this item to your friends & special ones. 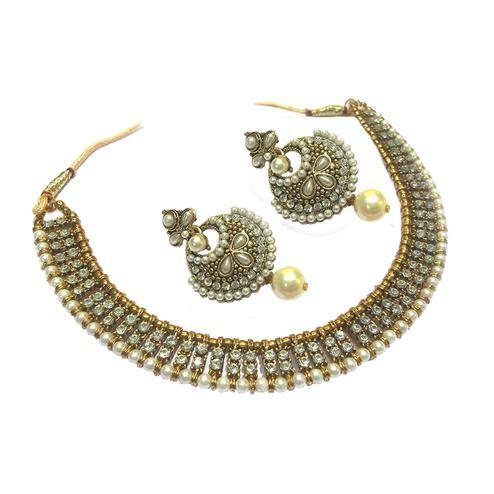 Material : Pearl & Kundan.